Minimum quantity for "Mini Focus Wrist Watch For Men - Fancy Watch (MF-049)" is 1. Minimum quantity for "Mini Focus Wrist Watch For Men - Fancy Watch (MF-048)" is 1. Minimum quantity for "Mini Focus Wrist Watch For Men - Fancy Watch (MF-047)" is 1. Minimum quantity for "Mini Focus Wrist Watch For Men - Fancy Watch (MF-046)" is 1. Minimum quantity for "Mini Focus Wrist Watch For Men - Fancy Watch (MF-045)" is 1. Minimum quantity for "Mini Focus Wrist Watch For Men - Fancy Watch (MF-044)" is 1. Minimum quantity for "Mini Focus Wrist Watch For Men - Fancy Watch (MF-043)" is 1. Minimum quantity for "Mini Focus Wrist Watch For Men - Fancy Watch (MF-042)" is 1. Minimum quantity for "Mini Focus Wrist Watch For Men - Fancy Watch (MF-040)" is 1. Minimum quantity for "Mini Focus Wrist Watch For Men - Fancy Watch (MF-039)" is 1. Minimum quantity for "Mini Focus Wrist Watch For Men - Fancy Watch (MF-038)" is 1. Minimum quantity for "Mini Focus Wrist Watch For Men - Fancy Watch (MF-037)" is 1. Minimum quantity for "Mini Focus Wrist Watch For Men - Fancy Watch (MF-036)" is 1. Minimum quantity for "Mini Focus Wrist Watch For Men - Fancy Watch (MF-035)" is 1. Minimum quantity for "Mini Focus Wrist Watch For Men - Fancy Watch (MF-034)" is 1. Minimum quantity for "Mini Focus Wrist Watch For Men - Fancy Watch (MF-033)" is 1. Minimum quantity for "Mini Focus Wrist Watch For Men - Fancy Watch (MF-032)" is 1. Minimum quantity for "Mini Focus Wrist Watch For Men - Fancy Watch (MF-031)" is 1. Minimum quantity for "Mini Focus Wrist Watch For Men - Fancy Watch (MF-030)" is 1. Minimum quantity for "Mini Focus Wrist Watch For Men - Fancy Watch (MF-029)" is 1. 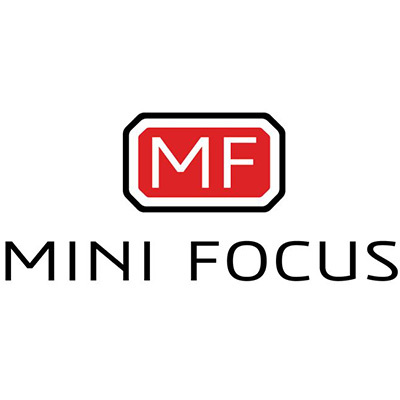 Minimum quantity for "Mini Focus Wrist Watch For Men - Fancy Watch (MF-028)" is 1. Minimum quantity for "Mini Focus Wrist Watch For Men - Fancy Watch (MF-027)" is 1. Minimum quantity for "Mini Focus Wrist Watch For Men - Fancy Watch (MF-026)" is 1.